Another year; another NAB; another I’m-so-glad-I-don’t-have-to-be-in-Vegas-to-see-the-NAB-filmmaking-related-news. Once again, Blackmagic unveiled the star of the show. The camera that has mouths hanging open all over the internet filmmaking forums, is their new, flagship, modular camera: the URSA. What can I say that hasn’t already been said? It’s modular and upgradeable. It has a built-in 10″ monitor. It’s chunky (16.5lbs without glass) but portable. It’s expensive but not affordable ($6K for the camera with EF mount). 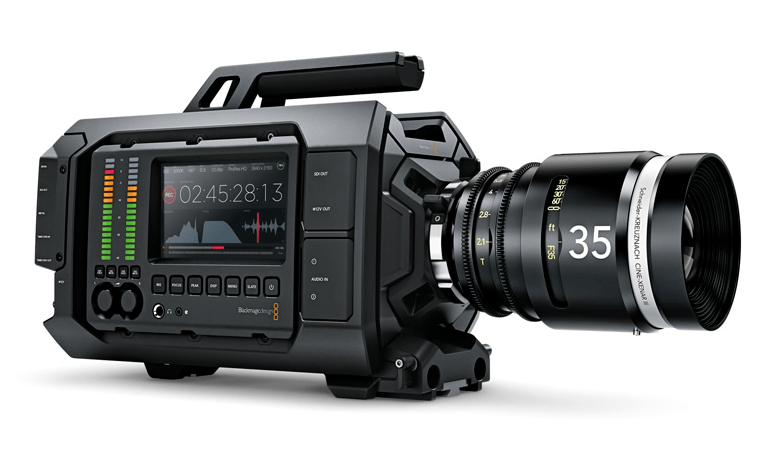 I can’t wait to read reviews and see footage from the URSA in use but I already want one. If I were shooting any narrative work in, or after, the third quarter of this year, the URSA would be high on my list for consideration. Pundits are constantly forecasting the death of DSLR video, and while it has seemed a little premature this far, if Blackmagic and others keep innovating at this pace, the DSLR as a tool for video is not long for this world. And let’s pause a moment to mention another new product from Blackmagic, the Blackmagic Studio Camera. This one is aimed at studio production, live TV shows and is intended to be used in conjunction with a live switcher desk. 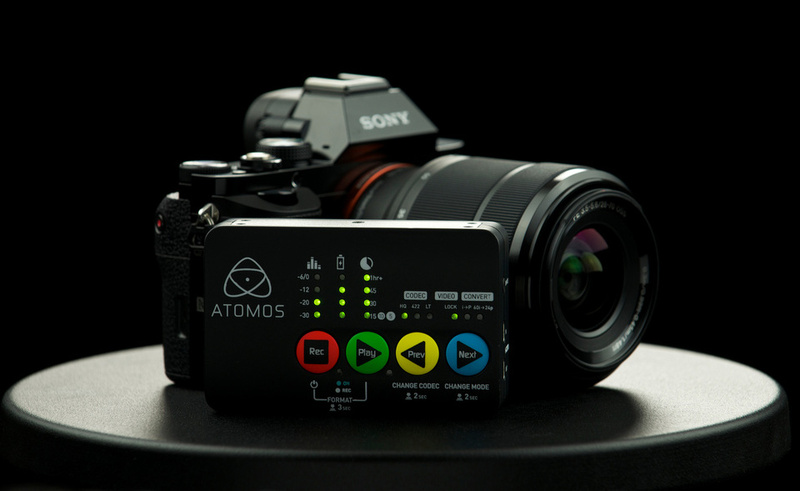 I does show how Blackmagic continues to try to innovate and reach into unexpected niches of the the market. Blackmagic have become such an interesting player in the market and their second year as the most talked about camera manufacturer at NAB proves that point. Camera drones have been all over the news, both general and filmmaking specific, in the last 12 months. In the past this was just a cottage industry and you had to assemble a kit with all the potential pitfalls that entails. No manufacture has done more than DJI to simplify getting aerial shots for less than renting a helicopter for an hour. But even DJI’s packages expected you to add your own GoPro and POV camera if you wanted it. The Vision+ seems like the ultimate out-of-the-box flying solution. They’ve made it simple to fly, GPS enabled (so the quadcopter always knows where it is) – you can even take your hands of the controls and it hovers in place and press one button and the drone returns to you. 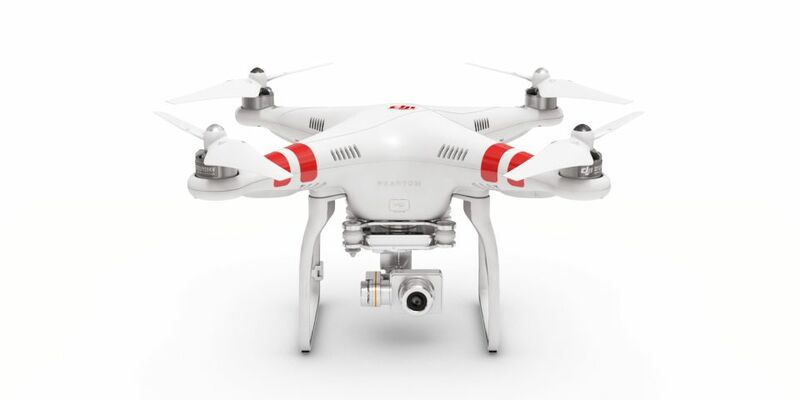 It’s now got a built-in camera with a 3-axis stabilization system to make shooting video with the Vision as simple as flying it. Plugin your iPhone and you have a POV heads up display so you don’t have to guess what you’re capturing. The DJI really is the iPhone of drones. Expect to see more Phantoms is enthusiast and professional video maker’s hands this year. In my number three slot I’m putting, not a camera, but a 4K recorder. How unsexy! But the Ninja Star records 4K for $300 and is small enough to strap to your Phantom mentioned above. It records to Cfast gen 1 cards, 180 grams with a battery, and a simple LED based UI. It seems to be for everyone who wants ProRez recording but doesn’t need a monitor. I only wish it contained it’s own storage and yet I foresee multiple situations where having a Ninja in your kit bag would be really useful. Finally, a sneaky extra item. Adobe announced a ton of features that they’re adding to the Creative Cloud software creatives all love but the die-hard still-photog in me was most excited by the release of Lightroom Mobile for the iPad. I tolerate Photoshop but I love Lightroom. I need to play with it more but I am excited to be able to access Lightroom on my iPad now.